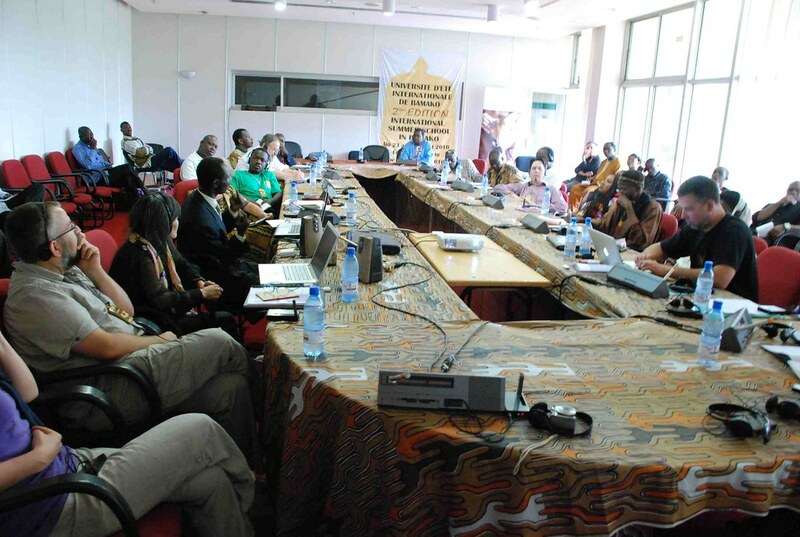 BAMAKO SYMPOSIUM 2015 will bring together creative practitioners, theorists and cultural entrepreneurs from around the world to interact and exchange dialogues on the useful and non-useful impacts of media arts on the global marketplace of ideas. The symposium reckons a major issue in Africa’s development is sustainability. Through the years, many developmental initiatives have continued to emerged, but failed to roll out and be sustained. With the practical acts and theoretical presentations, we aim to promote critical dialogues on the best practices around the world on how the media arts feed civilizations. Along these lines, the symposium asks: How are the media arts worldwide feeding civilizations? What are the implications for tapping the abundant local resources in Mali in the 21st century? We define the media arts broadly to include the diversity of recording and presentation modes (such as photography, film/video arts, and the territory of digital arts created for gallery exhibition, television, newspaper, billboard, radio, Internet even architectural structures) that integrate digital technologies with traditional use of images and text to convey symbolism, codes and context contained and projected through audio-visual instruments. Themes of computer as a cyberspace, issues of collaboration, identity, appropriation, open source, telepresence, surveillance, corporate parody, as well as intervention and hacktivism are commonplace in media arts. Thus, we call for proposals for theoretical presentations and practical acts such as workshops, mini-projects, and artistic interventions involving the diversity of expressions in and applications via digital arts, computer graphics, computer animation, virtual arts, Internet arts, interactive arts technologies, computer robotics, and the arts as biotechnology in society. We anticipate that the cross-cultural interaction and exchange on the challenges and possibilities of media arts in diverse cultures will not only lend new trends to Malian media arts, it would result to personal or professional growth of international participants. The symposium is organized as collaboration between Balani's Association and Nka Foundation.